The ROC military defended China during WWII, and when they came to Taiwan, they helped with building the defense infrastructure in Taiwan during the Cold War. DPP Presidential candidate Ms. Tsai promises to lend Hualian Jiashan missile base to the US and Japan during emergencies. At the same time, she tries to deny ROC veterans basic health service by planning to open veterans’ hospitals to the public. This violates the contract between the country and its retired military veterans and their families. 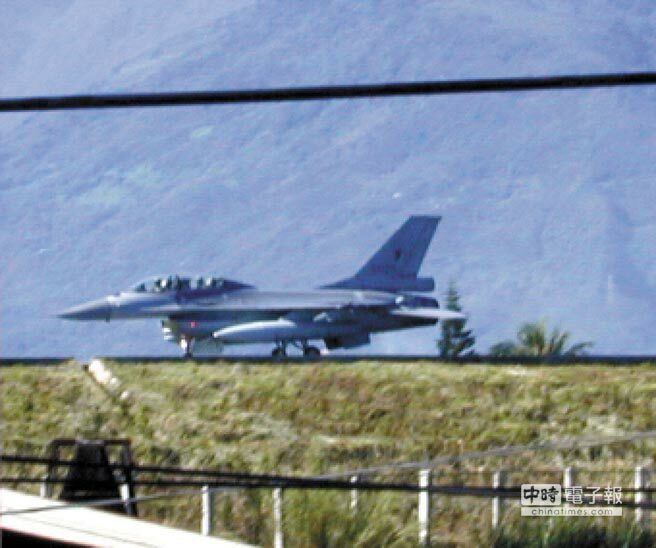 Taiwan excavated a mountain to house US-made F16 aircraft and missiles. A reminder that it was the Nationalist KMT design to fly the US F16, not the DPP. But the DPP wants to benefit from Nationalist hard work without paying veterans the essential humane benefits. The Hualien 828 missile underground project veteran participants said they dug out a granite mountain vein to house planes, to prevent being hit by missiles. In 1981, the ROC Defense Department, Air Force, Joint Logistics Headquarters, and Veterans Labor Bureau sent a team to Austria, Switzerland, and Sweden for 80 days to learn the technique to allow Jiashan base to withstand a 7 magnitude earthquake. The first underground airplane warehouse was started in 1984, and completed in 1992, with $1.2 billion spent. Hualien Jiashan can house over 200 warplanes. It has a complete command and control system, communications, and intelligence. It can station troops, including armored vehicles, hospital, water plant, electricity plant, war supplies, and can resist chemical or nuclear attack. A large pool of veteran hands was used to build the Taiwan East-West highway across Taiwan’s high mountain range. Paine espouses rights and contracts between men to create a government. When these veterans entered their military life, they had a contract with the ROC. They are not like US continental railway workers as indentured slaves, but had health care service and subsisting pension. Can U.S. Veterans Hospital be Shared by All Citizens, Including Illegal Immigrants? Nobody is proposing that in the U.S., but Tsai is proposing this in Taiwan. Why does the CSIS endorse such an unfair person to oppress the veterans , and discount their hardships? Ms. Tsai wants the veterans’ hospitals to be shared by all citizens, most of them are Taiwanese hardliners with racial hatred to any outsiders who came to Taiwan during the civil war with Mao in 1949. Can this happen in the U.S.? Quote from Thomas Paine "The fact, therefore, must be that the individuals, themselves, each, in his own personal and sovereign right, entered into a contract with each other to produce a government: and this is the only mode in which governments have a right to arise, and the only principle on which they have a right to exist." Veterans signed a contract with the government when joining the military. While receiving low pay, they were guaranteed to have a pension to live on and health system, although not everyone was fortunate enough to live to old age. Taiwan DPP presidential candidate Tsai's proposal is to make it all public. So once Tsai becomes President, she would cancel the contract with the veterans, and deprive them of their benefits. Ms. Tsai would be abusing her power if she gets elected as President and implements this anti-veteran policy. She would face uprisings, and like the previous DPP President Chen Sui-bian will end up sitting in jail for violating others' rights.